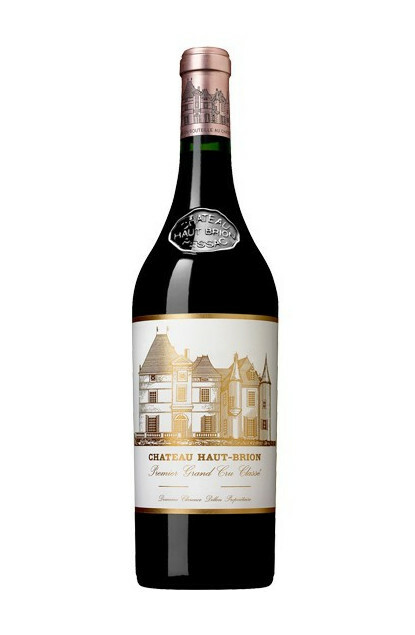 This wine estate Château Haut-Brion dates back to 1525 and it was in 1550 that its owner built the north wing. The vineyard spreads on a gravelly soil on a sandy-clay base. The vineyard has a surface area of 51 hectares (48 hectares for red and 3 hectares for white), with an average age of 40 years old for reds and 30 years old for whites. Production amounts to 160 barrels per year for red and 9 barrels for white depending on the year, which is 192.000 bottles for red and 11.000 bottles for white, and an average yield per hectare of 3.000 litres for red and 2.800 for white. Grape varieties for red : Cabernet Sauvignon 44%, Merlot Noir 42 % et Cabernet Franc 14 %. Grape varieties for white : Sémillon 52%, Sauvignon 47% et Petit Verdot 1%. The whole harvest is done by hand and the wine is entirely mature in barrels of which 70 to 100% in new barrels depending on the year for 12 months for white and 18 months for red before being bottled.